Haidee-Jo Summers is a British painter best known for her landscapes and seascapes painted ‘en plein air’. She is a full member the Royal Institute of Oil Painters and an associate member of the Royal Society of Marine Artists. Haidee-Jo’s work features fresh and vibrant brushwork coupled with keen drawing and observational skills which result in lively celebratory paintings that glow with light and sing with colour. Well known as a plein air marine and landscape painter she also develops favourite themes in the studio and is an avid sketcher. Her work features regularly in The Artist magazine and she has a book called ‘Vibrant Oils’ and a DVD which shares the same name. Since being published in 2016 the book has also been printed in the French, Italian, Spanish and Chinese languages. 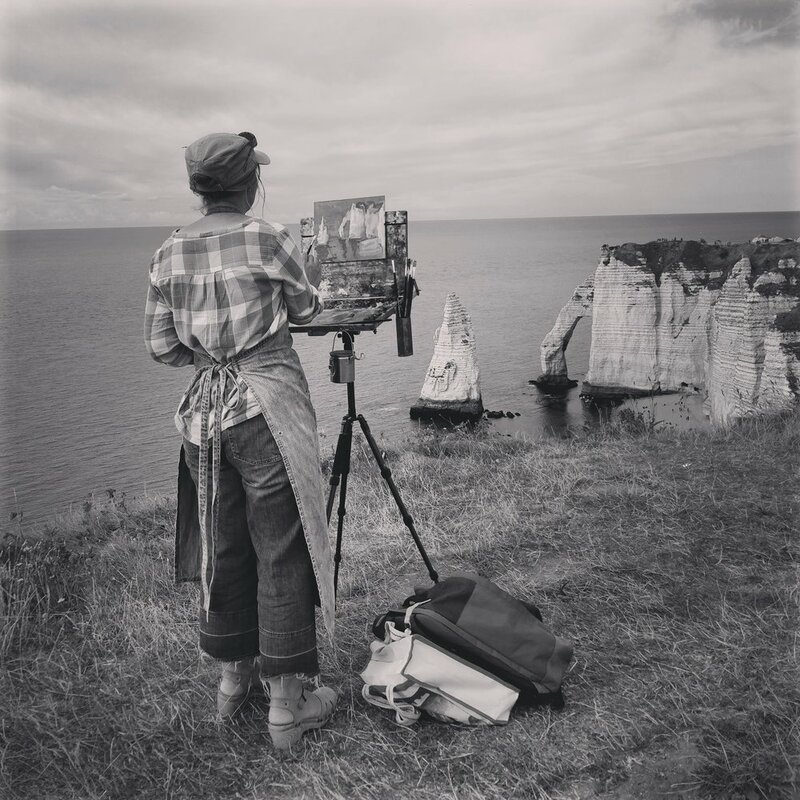 Clare: What is a typical day for you when you are painting en plein air? Haidee-Jo: Typically I will head for a destination without anything but the loosest plan of what I will paint when I get there, so it’s a bit of a treasure hunt. I’ll usually have 2-4 small panels with me and a flask of black coffee. If the car is on hand I’ll have more of a choice of formats and sizes. I won’t waste much time looking around, more so if the location is a new one to me. I’ll work on a single piece for up to two and a half hours. When I’m cleaning up I usually turn around and prefer the view behind me, but I need a break and a stroll around before starting another. Clare: What will you be looking for in the entries submitted? Haidee-Jo: I don’t wish to have expectations in advance of what I’m looking for, but a strong design will give initial impact and make a painting stand out from the rest. I’m really seeking work which surprises me, and expresses an honest personal interpretation. Haidee-Jo: First of all, definitely go for it. The only thing for sure about competitions is that you won’t get anywhere if you don’t enter. One way to help choose which pieces to enter if you have a longlist is to view them all together on a screen as a group of thumbnail images. If nothing else this will help you to spot the ones which make a greater impact. Finally, give yourself the best chance by making sure your entry photo accurately represents the work.